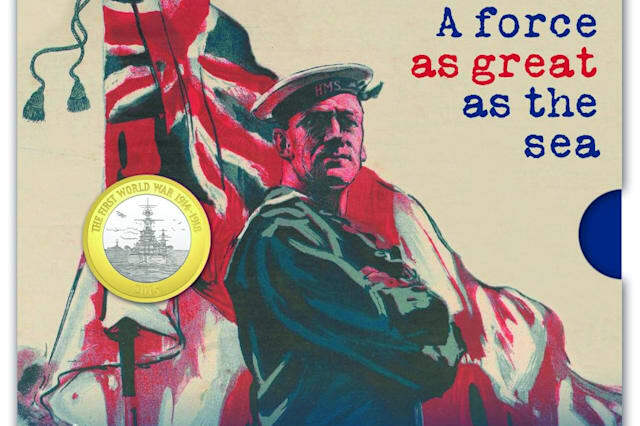 A £2 coin which commemorates the vital role played by the Royal Navy in the First World War is to become the rarest coin in UK circulation, the Royal Mint has announced. The Mint has issued just 100 of the coins in partnership with the visitors' facilities at HMS Belfast. People visiting the restored warship in London may be lucky enough to find one of the coins in their change from today onwards. The Royal Navy £2 coin will also enter wider circulation at some point later this year - but that version will feature a new portrait of the Queen, which is set to be unveiled in March. The version of the new £2 coin in circulation on HMS Belfast features the current portrait of the Queen which is used on coins, making those coins extremely rare. 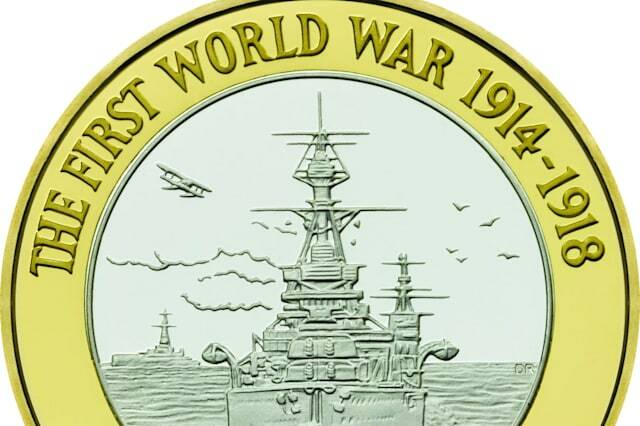 With its design featuring a mighty battleship, the coin is said to capture "the strength of a force whose contribution to victory in the First World War deserves to be remembered". The Royal Navy began its service in the First World War at the very outset, carrying troops to France to begin the campaign on land. The coin has been designed by military artist David Rowlands. The version which people will be getting in their change on HMS Belfast is also on sale as a commemorative coin on the Royal Mint's website at a cost of £10. That coin is also technically legal tender, although those buying it for £10 would be highly unlikely to let the coin go into general circulation by spending it, given that its legal monetary value is £2. Shane Bissett, the Mint's director of commemorative coin and medals, said: "The Royal Mint has been producing coins in Britain for over 1,000 years, recording the passing of history and documenting changes in monarchs, our customs and significant national anniversaries. "We also have strong connections to the military, having produced medals awarded to our armed forces personnel since the Battle of Waterloo." He continued: "By the time the bulk of these new coins appear in our change later in the year, they will be among the first UK circulating coins to feature the new portrait of the Queen, but we thought it a fitting tribute to the Royal Navy's role in the First World War centenary commemorations to strike this small run of 100 £2 coins featuring the current effigy, and release them through the shop at HMS Belfast." Other rare coins which have previously been produced by the Royal Mint include a 50 pence coin celebrating Kew Gardens which was issued in 2009, with 210,000 coins being minted. The Royal Mint would like anyone who finds a £2 coin in their change to share a photo on the Royal Mint Facebook page or post it on Twitter using #coinhunt. 50 million fake pound coins: have you fallen for them?